It’s always lovely to hear feedback from a happy customer. 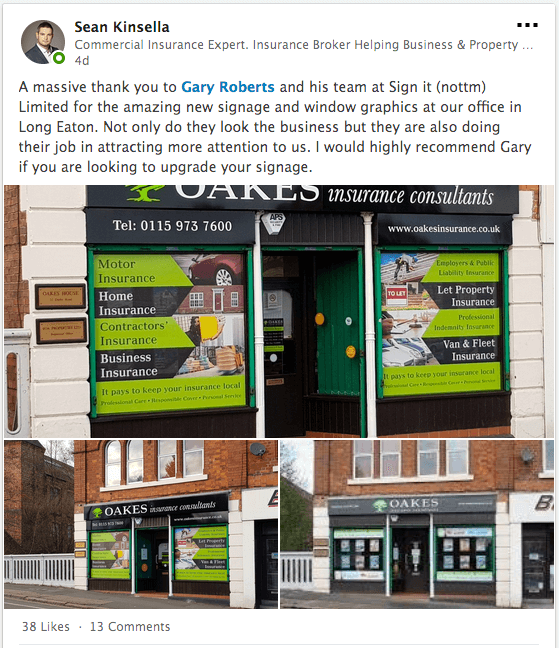 We recently redesigned the front of Oakes Insurance Consultants and as you can tell from their post on LinkedIn, they are over the moon. 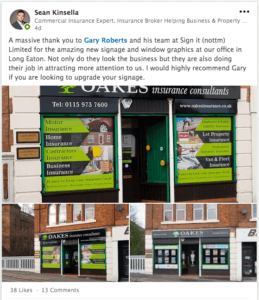 From everyone here at Sign It, it has been a pleasure working with you.